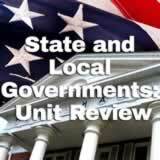 State and Local Governments unit contains 7 learning experiences. 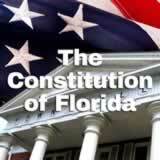 Students compare and contrast the Florida Constitution to the U.S. Constitution. Then, they take a closer look at one of the rights listed in the Declaration of Rights, summarize it in their own words, and explain why it should or should not be guaranteed in the Florida Constitution. Students are introduced to state government by examining the text of the Tenth Amendment. They consider why states need to have their own power. 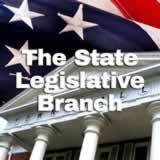 Then they learn about the basic makeup of a state government, particularly the state legislature. Next, they learn about the lawmaking process by looking at how a bill is made law in different states. Finally, they research the law-making process in Florida and create a diagram to illustrate it. Students learn what the executive branch of state government does and who its important officers are. Then students work in small groups to research the role of a state governor and create a report of their findings. Finally, students write a letter or email to their own governor expressing a concern that is important to them. 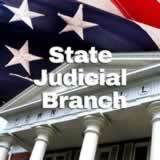 Students review the U.S. court system and then focus on the roles of state courts, judges, and juries. Then they research and diagram how the Florida state court system works. Finally, they consider a fictional scenario and use what they know to infer what might happen next. Students learn how local government is set up and what its roles and responsibilities are. Next, students get an overview of how local government works. Then they do a scavenger hunt to find information about their specific local government. Finally, students consider how federal, state, and local governments have to work together in the situations such as natural disasters. 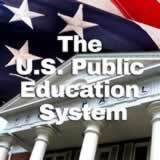 Students learn that states—not the federal government—are responsible for public education. Next they read a state constitution section on education and restate it in their own words. Then they diagram how schools receive financial support from the federal, state, and local governments, and they learn what bonds are. Finally, they take a stand on a state referendum affecting public education. 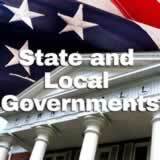 including the State and Local Governments Unit.